Very presently surprised from start to Finnish , My order was delivered the next good quality product at the right Price, I will be back. Easy to buy. Very quick delivery. Simple Acid loading with the sealed plastic bottles provided. My Lawnmower's back in working order just in time as the April rain arrives. Thanks. 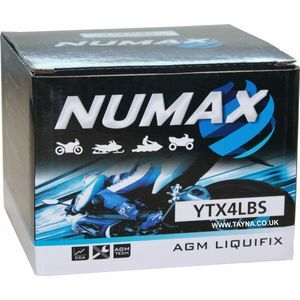 Excellent service and fast delivery, this battery is for my 'get to work' bike and was purchased because it was cheap. Just goes to show cheap doesn't have to be just cheerful keep up the great work. Ordered Sunday afternoon, delivered Tuesday morning. Could not expect better then that.